Opera Mediaworks is the world's largest mobile advertising network which puts Opera in great position to monitor which platforms receive the most mobile ad revenue. It might not be surprising, but while iOS accounts for 44% of the traffic over Opera's ad network, the platform accounts for a leading 49% of mobile ad revenue over Opera's pipeline. Android is responsible for 31% of the traffic over Opera, and 29% of mobile ad revenue. Windows Phone's numbers were microscopic at .26 and .30 respectively. But with the kind of momentum that Microsoft's mobile OS has had recently, we'd expect those numbers to move higher. Among smartphone manufacturers, Apple has the lead, responsible for 43% of ad impressions over Opera's network. Samsung is next with a 17% share followed by the 10% owned by Nokia. Other OEMs like HTC, Motorola and BlackBerry each have less than a 4% share of mobile ad impressions on Opera's mobile ad network. When it comes to tablets, Apple's share of mobile ad revenue over Opera is a whopping 91%. Samsung is second with 6%, while Acer has 1%. 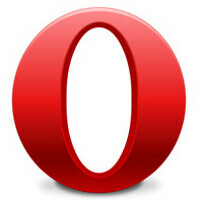 Opera's mobile ad partners had revenue of $400 million in 2012 and that figure is on target to hit $600 million this year. Opera Mediaeorks serves up more than 60 billion ad impressions a month over 13,000 sites and apps, reaching 400 million consumers each month. Tried it but didn't like it. Preferred Dolphin Mini. Which brings up the follow up question about statistics: In what percentage is Opera used by OS and by manufacturer compared to other browser choices? I love Opera. It crashes on my S3 and iPad all the time, but I still use it daily.